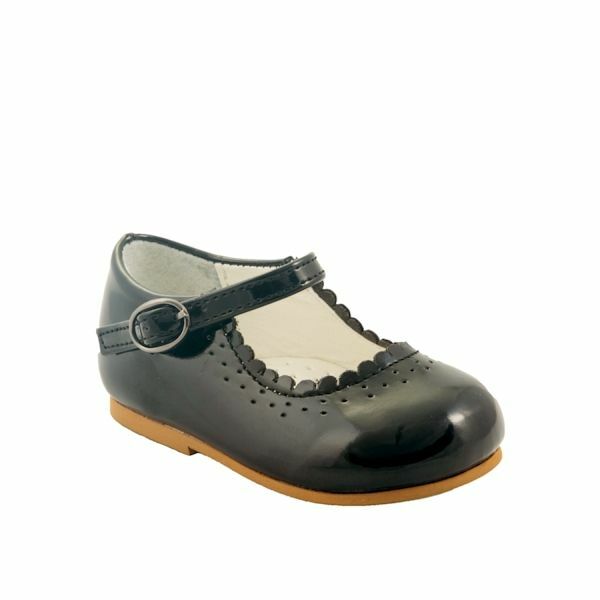 Patent hard sole shoe with scalloped edge detail and buckle fastening. All shoe's are lightly padded inside so are nice and comfortable for little girl's feet. The Hard non slip sole makes these them an ideal first walking shoe.